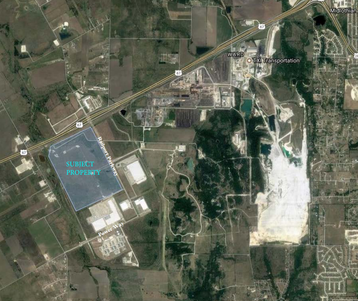 Google has acquired 375 acres in Midlothian for a new data center, promising $500 million in capital investment in return for significant tax breaks. “Google has purchased property in Midlothian, TX and while we do not have a confirmed timeline for development for the site, we want to ensure that we have the option to further grow should our business demand it,” Andrew Silvestri, Google’s head of public policy and community relations in the Central US, said. Council documents suggest that the data center could create up to 40 jobs. In return, June saw the council approve a 100 percent personal property tax abatement and an 85 percent improvement tax abatement over a 10-year period for the facility at RailPort Business Park. Sharka (and before that a company known as Jet Stream) were used by Google to maintain secrecy throughout the negotiations. Both were registered with Delaware-based Corporation Service Company, a legal and financial services provider. CSC is used by various businesses to hide their identity in deals like this, and is particularly favored by Facebook, which has operated under aliases including Raven Northbrook, Greater Kudu and Stadion, in order to negotiate data center tax breaks.